I like how the serum glides through effortlessly on my skin, leaving my face with a luxurious feel. The well-formulated product is fast absorbing and feels good on skin. This uniquely lightweight serum does not clog pores and is suitable even for those with sensitive skin and post ablative or non-ablative lasers/procedures - when skin is most desperate for hydration. Well, you may be asking ……… Do I really need a serum? In skincare, serum is an essential product whereby you apply to your skin after cleansing your face, and after toner if any but just before you apply your moisturizer. Serums are lightweight and can penetrate deeper into your skin, delivering powerful active ingredients that you skin is in need of. Of course, the price of serum tends to be dearer as compared to moisturizer, but think about what these super concentrated ingredients locked in that small bottle can do to your skin to achieve a younger-looking skin. It is definitely worth the investment. Remember, a little goes a long way. The high viscosity enables this serum to form a thin yet highly protective layer over your skin, to maintain hydration. 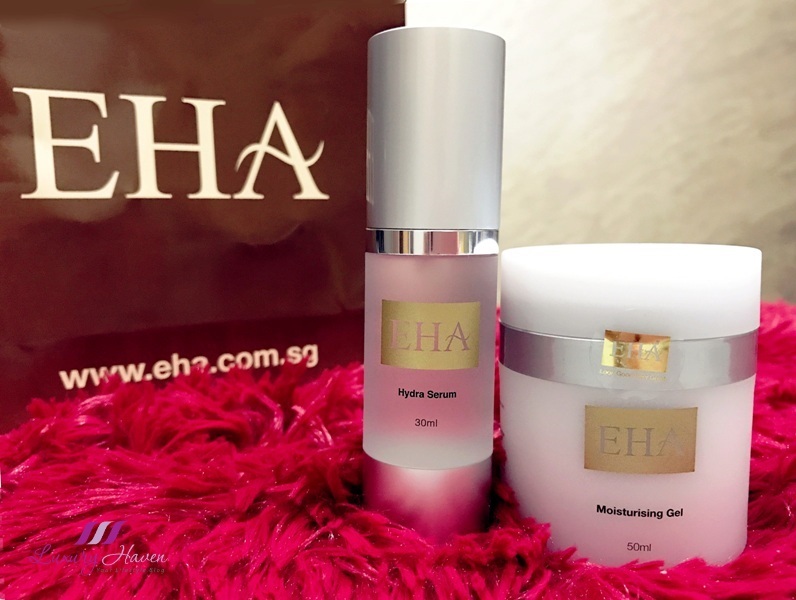 Priced at SGD 120, the EHA Hydra Serum (30 ml) works best when used together with their EHA Moisturising Gel or EHA Restore at SGD 88 each. 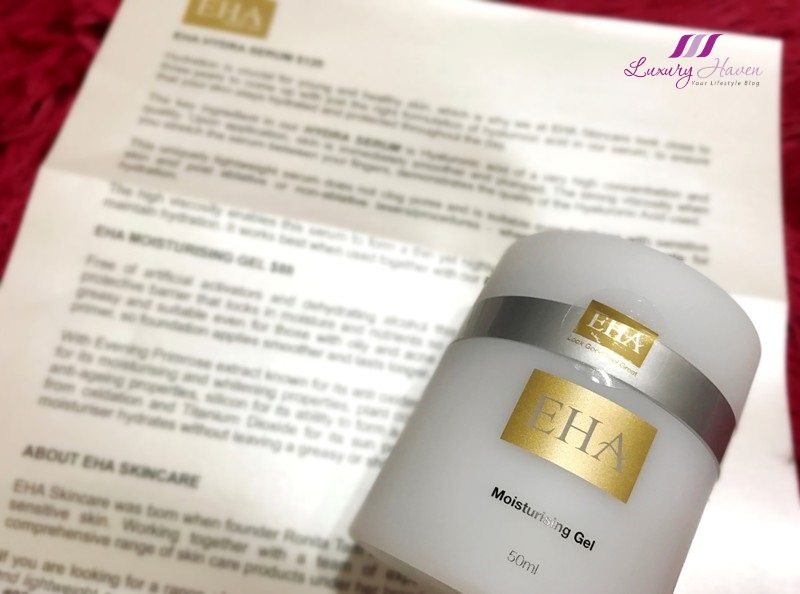 Read more about #EHASkincare products at EHA Derma Collagen and Moisturizing Gel Review, or check out our travel tips on How to Prep Your Skin for Long-Haul Flight! 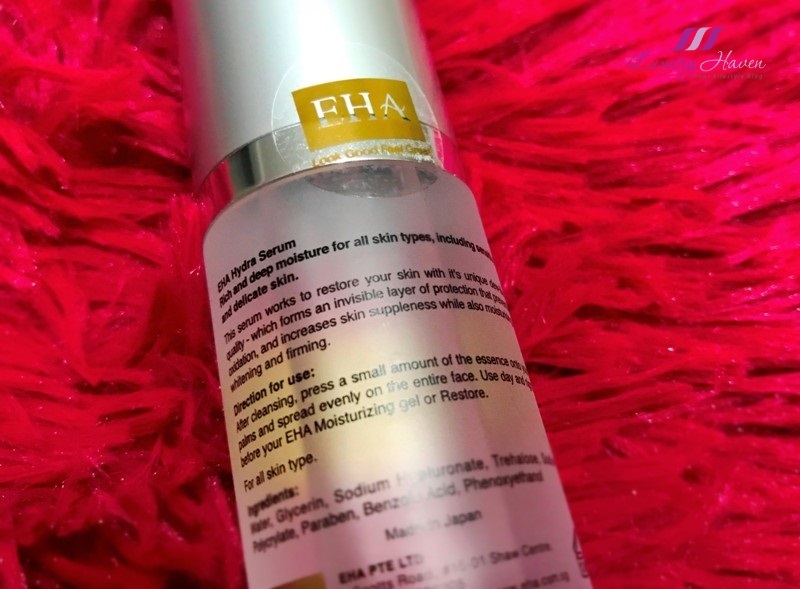 EHA Skincare products are available exclusively at 1 Scotts Road #03-28 Shaw Centre. Quote LUXURY HAVEN to get a special 10% discount on their skincare products! Call Tel: +65 6235 8661 to reserve your bottle of hydration potion now! I recommend this to my friends who want to keep their skin looking young. I really like clear gels, this looks very good. You are very lucky to have this lovely face massage. Sounds like a fab serum. thank u for the great review. I really need to try this brand. My skin needs some miracle. This hydriation serum seem amazing. It is great that it is so light on the skin. I would love to try it. I hate serum which are oily, but EHA's look fabulous. Impressive. Love its lightweight formula to keep the skin moist and supple. This comes pretty handy, Shirley, I am all into hyaluronic acid as my skin is getting drier by the day. I have always love serum and this one sounds good to me! Definitely keen to try this brand! Great post! Looking forward to trying out this new product. Ah, I've been on the hunt for a good serum! The 'acid' in the name on the title get me a bit skeptical lol. But reading your review it sounds like a great product. This sounds like a great serum or moisture. Hyaluronic Acid is a really effective hydrator. Looks like a good product Shirley. I've recently started using a serum and can definitely see positive results. Expensive one, packing looks beautiful.